Ah a classic! Fragbox corals first coined the infamous pineapple express is 2008. 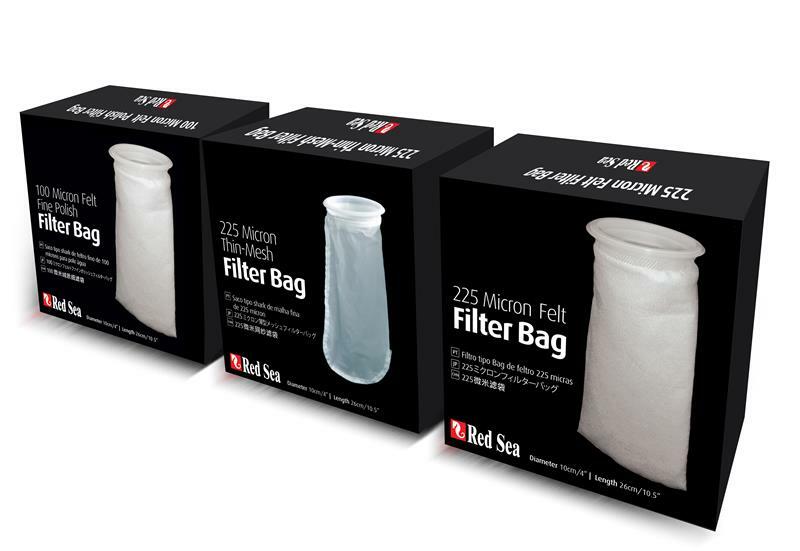 They were first acquired from Taiwan. We got about 12 heads and they were probably the nicest paly in our collection at the time. The paly was deserving of a name and we came up with it after watching the movie that goes by the same title that came out around the same time. They originally sold for $40 per head! Now you can buy 10-15 heads for about $20 for the entire plug. The paly is characterized by an intense orange yellow center with a beautiful contrasting pink and purple skirt. They do well in almost any conditions. High light, low light, high flow, low flow, this palys don’t really mind. 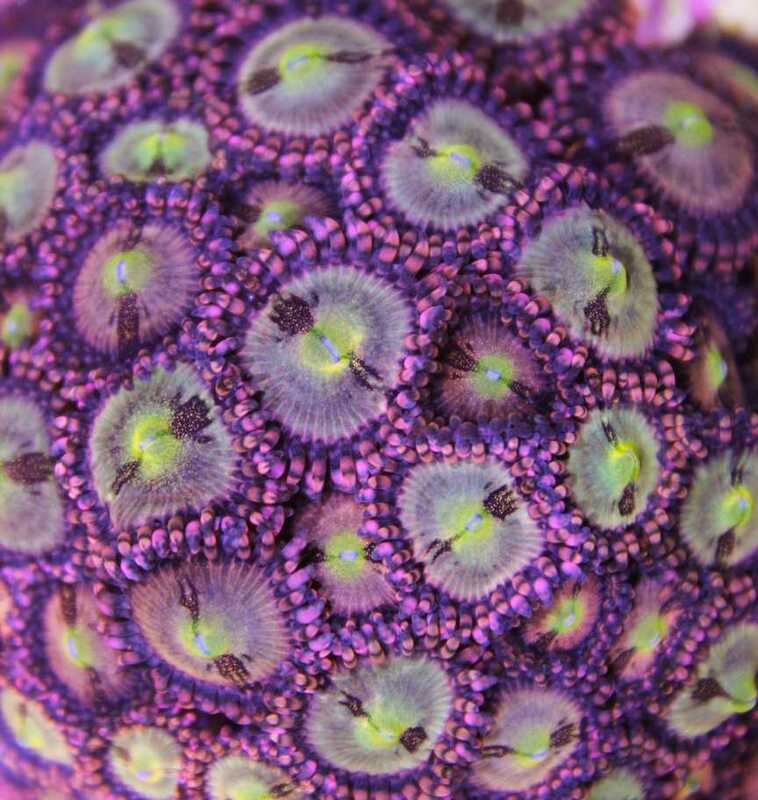 The color of this zoa can vary drastically from tank to tank. The size of the heads can also vary depending on this conditions its grown under. Out of all the palys we have, pineapple express are the single fastest growing, period. The growth rate is astounding, near invasive. 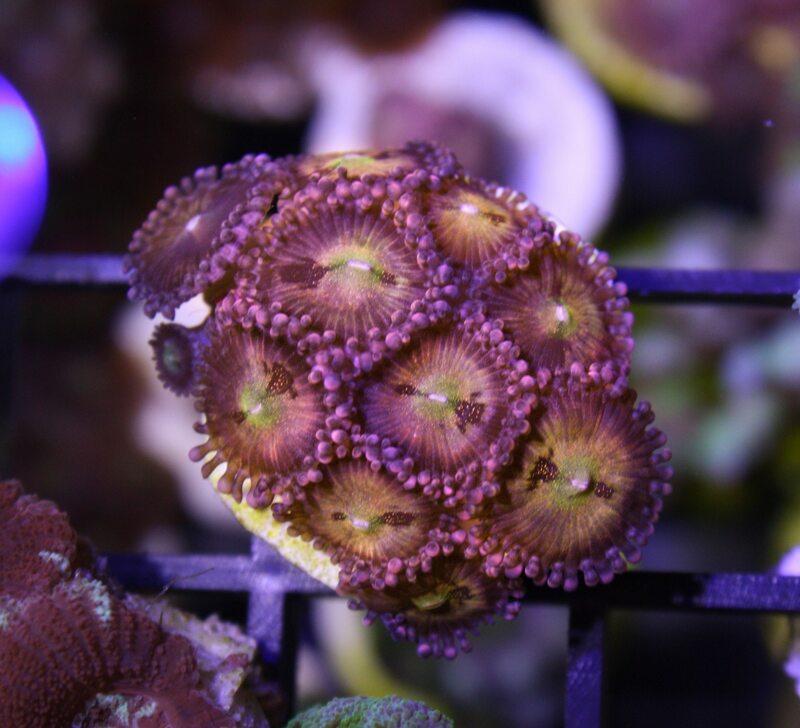 We have had many customers that have grown colonies from just a few small heads. 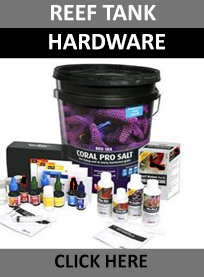 If your looking to fill in a spot of your aquarium some yellow /orange fast these are the ones for you. They are basically indestructible and ship incredibly well. 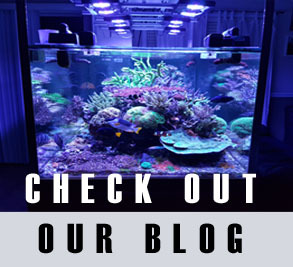 You can find some on our zoa page.